Huawei strongly denies U.S. charges that it spies and is too cozy with the Chinese government. The company is working hard to win Germany’s trust. It even opened a lab in Bonn where security officials can check its products. But policymakers and analysts in Germany acknowledge that this debate isn’t just about network security. It’s a geopolitical confrontation between two superpowers with strong ties to the European Union. “When we see this confrontation, it’s important for states in Europe to avoid being forced to take sides in this kind of conflict the way it’s structured now, by these two superpowers,” says Daniel Voelsen, a researcher at the the German Institute for International and Security Affairs in Berlin. And it’s not unusual for governments to spy, says Frank Pieke, director of the Mercator Institute for China Studies in Berlin. “It’s done by the American government, it’s done by the British government, so that the Chinese can do this and might do this is also in and of itself not an indictment of China or an indictment of Huawei,” he says. 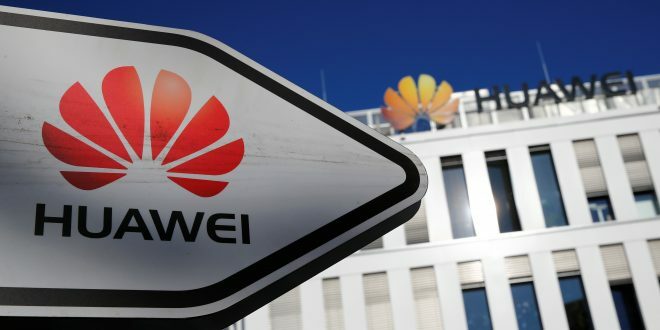 Pieke says he sympathizes with what the U.S. is saying about its concerns with Huawei. But, like others in Germany, he’s displeased about the way it’s being said. BMW and other carmakers want to use 5G’s much faster data speeds to operate self-driving cars. At the BMW Museum in Munich, a video shows a driverless car dropping off a passenger in front of a building. “I will be back here and pick you up at 11,” the car tells him. Peter Beyer, a member of Merkel’s cabinet who is in charge of transatlantic relations, brought up self-driving cars in a statement intended to placate the U.S.